Sophos knows that viruses, malware, and rootkits are nightmare to every computer users. They can harm the PC, degrades system performance, and steal sensitive data. These are the reasons why the company is providing this free tool – to find and delete these nasties out of your computer. Sophos Virus Removal Tool is handy and portable. It can run alongside with your installed security product without a conflict. In fact, this tool is efficient in finding and removing threats that your anti-virus fails to detect. 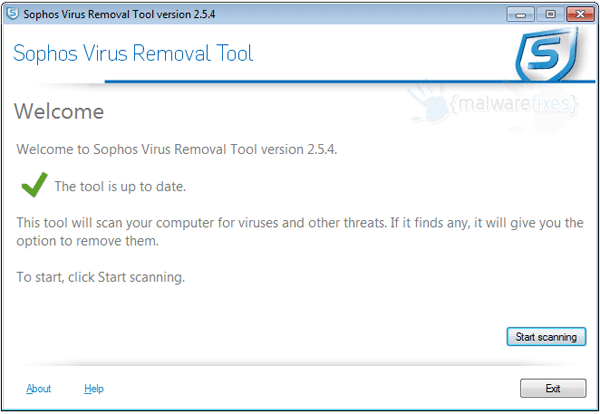 Rootkit scanning and detection is part of Sophos’ free virus removal tool. The tool can scan, detect and removes any hidden rootkit on the computer with its sophisticated rootkit detection mechanism. We can say that this program is a complete solution to remove any forms of viruses and malware inside the computer. 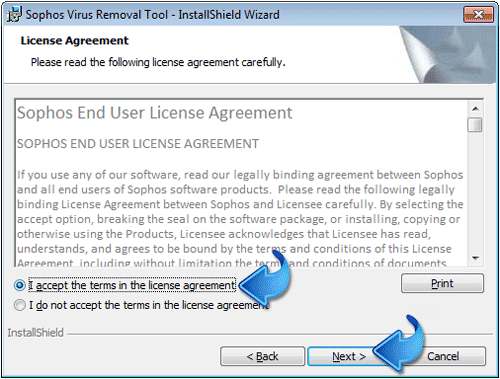 However, please be reminded that Sophos Virus Removal Tool is not a replacement to your anti-virus program. Components of this tool are purely for virus removal and do not cover protection. 1. Download the tool from the link provided below. Save the file on your hard drive. 2. Install the program using default settings. Please do not change anything on the configuration. 3. It may prompt for “End User License Agreement“. Please choose “I accept the terms in the license agreement“. Then, click Next to proceed. 4. Once installation completes, Sophos Virus Removal Tool will update the database to most recent version. 5. Begin checking the computer for viruses by pressing the button Start Scanning. This was very easy to use. When it finished it told me there was no virus activity found. That kind of worries me but I think I now move on to the AdWare Cleaner. Again, thanks so very much to those of you who work for the greater good and feed idiots like me this medicine. I will say that I DO NOT download any freeware or anything that I don’t know where it came from. I have a something that when I enter something into a search it takes to where I don’t don’t want to be. The file name starts with rvzr. And then it comes up with update lightspark player pro. I bought your software and it did not clean out the problem. The damned thing didn’t come up or work when I tried to follow the instructions and is just as frustrating as the pop-ups that it’s supposed to help clean-up! Used this to fix a malware problem. Good job. I ran Sophos as recommended by Malwarebytes when looking for solutions to the ‘your windows computer has been blocked’ browser scam that took over my browser (Chrome). On a intel i3, 12mb ram, 500 gb HD sytem, it took about 8 hours to complete, which surprised me. So run this overnight. Nothing found. I had already solved the threat by closing the browser (won’t let you shut down normally when this thing takes over the browser control) via taskbar then chose not to open tabs from previous session (because the nefarious ‘blocked’ tab comes back and you’re back where you started if you do open your tabs). I ran Sophos to make sure nothing nasty was on my pc and Sophos says there isn’t.